This blog, by a reputable tax lawyer, claims the IRS did not anticipate the number of people that were going to use electronic filing software, that they did not get enough notice about the package details to work it out, so the IRS became overwhelmed. I’m leaving the original rant below as a reference point, but please note that this issue has been addressed by TurboTax. Thanks for reading! Before my rant, I must state that if the following message had been sent out a month ago, I would not be nearly as livid as I am now. For a financial services software company to be sending out a notice like this on the last day of the stimulus package direct deposit deadlines is horribly unacceptable. I think I might have been less angry if they hadn’t sent any notice at all. And yes, you’re right (before you even say anything), I shouldn’t have budgeted this money in the first place and just taken it as a pleasant surprise when it does come. We want to provide you with the most up–to–date information about the tax rebate to which you may be entitled. I hope you find this information helpful. If you still have questions, the best source for the most up-to-date information is www.irs.gov (see the “Rebate Payment Questions” link). A company that specialized in financial software should have known about this delay ahead of time. If they did know about this potential delay, they should have messaged their customers much sooner than they did. The last day of direct deposit, when people like myself might have already budgeted for the check, is unacceptably late. If they didn’t know about this potential delay, I’d be even more disappointed in their lack of knowledge, especially when people count on their software and expertise to plan their financial dealings with the IRS. I’m curious to see if anyone else has run in to this problem, with TurboTax or otherwise. Completely agree. I was pretty sure that lots of other folks would be feeling the same way I do. Somehow, cheated. I’m motivated to write to them and tell ’em I won’t be purchasing their software next year. I’ve used TurboTax for the last 5 years straight. I used TurboTax and did not receive my rebate by direct deposit yet either. I did not elect to have my prep fees deducted, however. Williamo (and others)… Please take the time to read the articles that I referenced in the email I sent to you. In those articles you would have read that on May 7 the IRS published additional information that basically said that those who used their refund to pay their tax fees would have their direct deposit flipped to a paper check. I, too, wish we would have known this much earlier. This affected not only TurboTax customers, but all taxpayers who used a bank product to pay their fees, obtain a RAL (which we don’t offer), etc. It would not have mattered if you used a competitor’s product, went to a franchise or a tax professional. This affected all players in this business. Willwm… When we (and everyone else) sends out bulk email, they generally send it from a mailbox that does not accept responses. All our contact information is prominently displayed on our web site (www.turbotax.com) and we also provide a link to it from within the email. Your feedback is important to us and the fact that our bulk email is not monitored should not cause you to think otherwise. Thanks for allowing me to respond to your concerns and I certainly hope you will reconsider your decision for next year. Thank you for your comment on my blog! The fact that you took time to seek out this article and comment on it definitely changes my mind about buying TurboTax again next year (i.e. that I will actually buy it again next year). I applaud the kind of personal attention to detail you’ve given this matter, and I sincerely hope that other companies follow your example in the future. In regard to your comment about the articles you sent in your e-mail, I’ll post links here and at the top of this blog post when I edit it next. That is truly unfortunate that the IRS did not anticipate the number of people using electronic filing software, as g mentioned in his/her comment above. 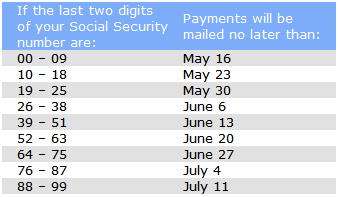 Also unfortunate is that the IRS took so long to publish additional information. It is comforting to know, however, that this was not a problem specific to TurboTax, which, again, makes me willing to buy your product again next year. Again, I for one will NOT be using Turbo Tax again, their lack of forsight and concern for their customers is DISGUSTING! No problem getting their $$ up front, but oh well, live and learn. My check is expected May 6th. May 5th and NOTHING yet. Pingback: 10,000 Hits! « Williamo’s Blog. This issue has been publicized, but not the one that kept our money from us for almost 2 months. I finally today found out why our stimulus payment was not direct deposited. It turns out that if you used TurboTax and payed your taxes owed directly from your account, that doesn’t trigger the direct deposit side of the equation. We fully expected a direct deposit because the IRS had our routing number and account info, but there’s a separate direct deposit portion of your return from the “direct debit” portion of your return. TurboTax didn’t enter the bank info in both places because it didn’t deem it necessary (I wouldn’t think so either). In this case, it was important, and nobody (IRS or Intuit) made it clear early enough. Filling income tax. This blog requires the special attention to make the people aware of the tax payment in right time.